File articles of incorporation with the California Secretary of State. 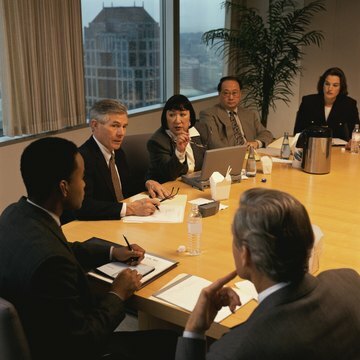 List the initial board of directors on the articles of incorporation. If you prefer to elect a board of directors at the first meeting, list the company's founders instead. The founders -- referred to as incorporators in California law -- may serve as the directors until a full meeting of the shareholders takes place. Their responsibilities will include running the initial election of the directors. Call a meeting of the shareholders. California law states that shareholders must receive notice of the meeting at least 10 days in advance. Vote on the candidates nominated for each position on the board of directors. Adopt bylaws that specify term limits and the process for electing board members. These provisions also can include board member qualifications. Record the annual meeting's minutes and file them in the corporation's records to document the election of the board. S corporations are corporations that have made a special election with the Internal Revenue Service to be taxed only at the individual shareholder level rather than at both the corporate and individual levels. Owners of the company, known as shareholders, do not participate directly in business operations and may not be voted out. If a shareholder takes on an additional function as a director or officer, he may be removed from that position. However, this removal does not affect the shareholder's ownership in the company. Does a Nonprofit Report to the State When the Board Members Change?